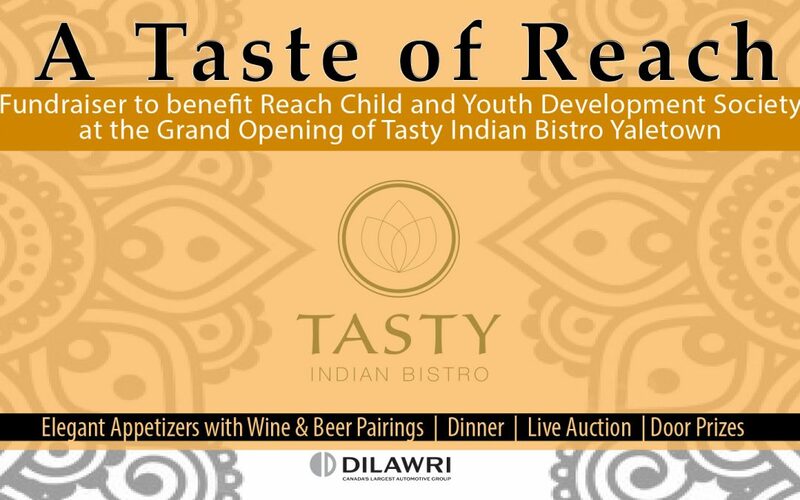 Our 2nd Annual Taste of Reach during the GRAND OPENING of Tasty Indian Bistro Yaletown was a terrific success ! Sending out a huge thank you to all our guests, sponsors, donors and volunteers! This elegant evening featured divine South Asian cuisine paired with wine, beer and cocktails. Funds raised benefited children and youth with special needs and their families at Reach Society. Heartfelt gratitude to presenting sponsor Dilawri Group and Tasty Indian Bistro for making this five star evening possible!